FatCogs Community Discussion Forums - View Single Post - Fat City T-shirts! 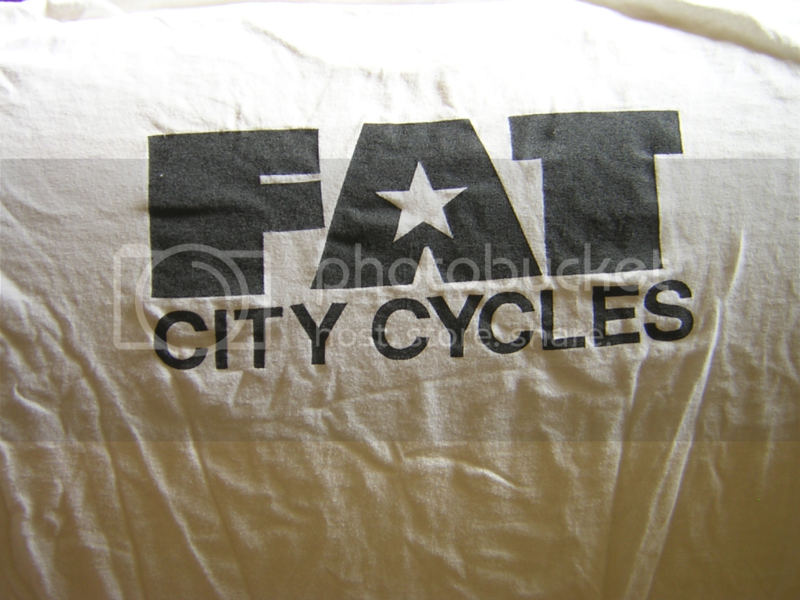 I'm trying to get an idea of how many of you guys would be interested in a double logo FAT CITY cycles T-shirt? It would be a black 50/50 T with a small vertical FAT logo over the left chest, about 4" tall with a larger 7" horizontal FAT on the back W/ city cycles under it. Like the pic below. T-shirts will probably be about $22 plus what ever shipping is. Thanks!